When I think of Yorkshire food I conjure visions of over-done vegetables (perfectly cooked, then given another 20 mins). Yorkshire pudding is relegated to Pub Grub, drowning in gravy over slices of roast beef. If you’re English (and ignorant like me), Yorkshire typically gets a bad wrap for food. Until last night’s Cajunshire Pop Up dinner blew the stereotypes away. 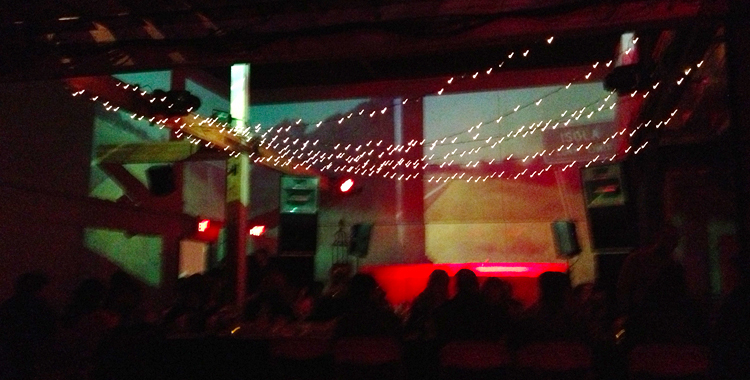 Held in San Francisco’s art/music space Public Works, the event catered to around 60 people. Subdued lighting (perhaps a little dark to enjoy the spectacle) and a DJ spinning mellow jazz greeted guests on arrival. Awareness was largely through grassroots outreach and Public Works’ PR activities–with announcements “popping up” shortly before the actual event. Tweeting with Chef Trace Williams (@tracewilliams), I was advised to wear pants with a “stretchy” waistband. I knew dinner was going to be brilliant. Chef Trace Williams, behind the scenes. 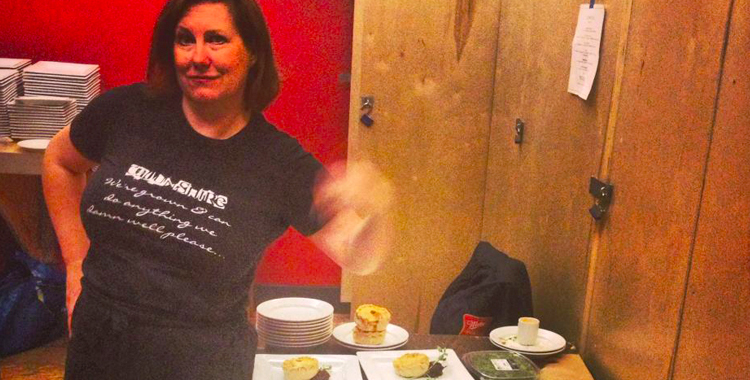 Trace Williams is a rockstar in culinary circles (she’s literally been the caterer on-tour with many music acts, including The Black Keys, Arcade Fire and several others). More about her here: http://chefstable.eatjackson.com/trace-williams. Together with Chef Chris Grant (flying in from Indianola, Mississippi) they created a fusion of “Cajun” and “Yorkshire” favorites–Cajunshire. Dinner commenced with an amuse bouche–okra lightly fried in breadcrumbs–prepared by Chef Erik Hopfinger. Throughout the evening Trace and Chris talked about their inspiration for each dish. 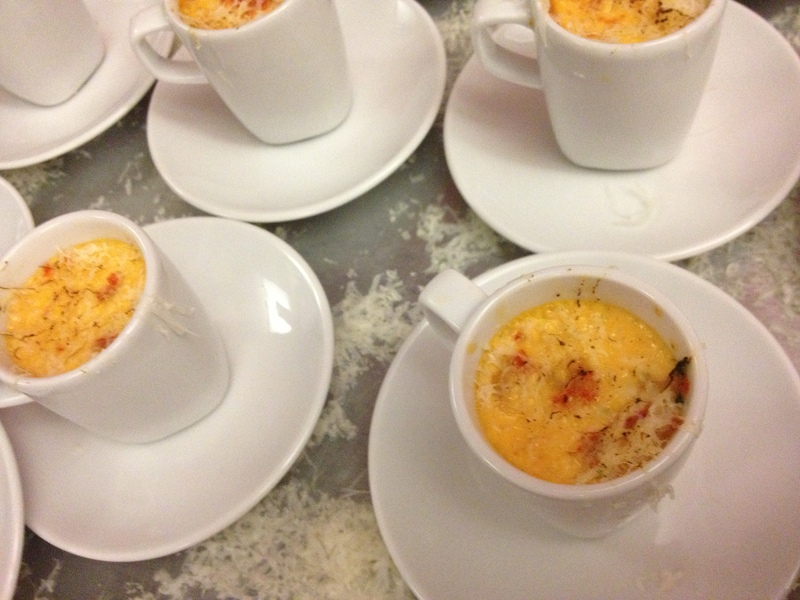 First course was Crawfish Creme Brulee, freshly fired on-stage by Chris. The six course menu added a twist to traditional recipes. My particular favorite was the Stand Pie (or pork pie). Influenced by the British cold meat pie (carried by coal miners for lunch down’t pit), this updated version wrapped pork terrine, in a pork fat crust and was paired with bacon jam. I loosened my belt. If pork wasn’t your thing you’d have hated life. 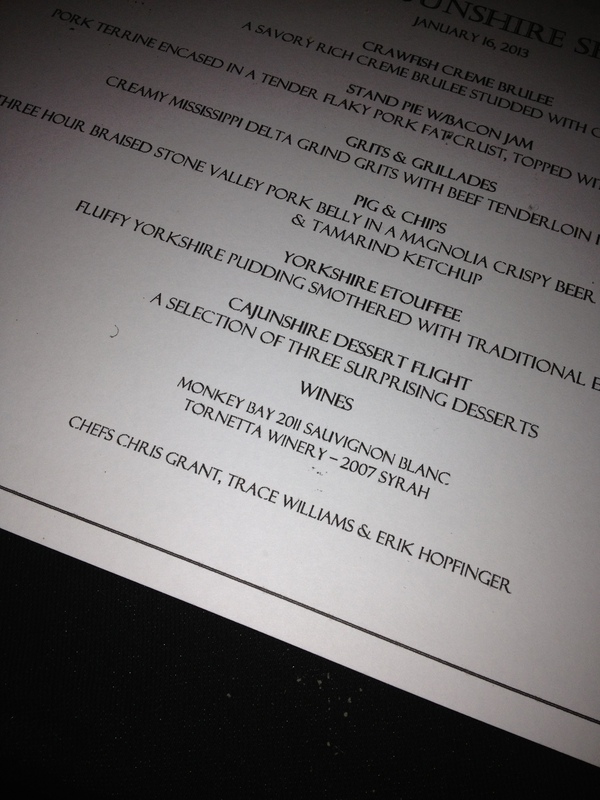 The menu also featured “Pig and Chips”, a three hour braised stone valley pork belly in a magnolia crispy beer batter. Yorkshire pudding graced the fifth course – this time lightly balanced on top of Etouffee. At this point I was glad I’d worn my old maternity jeans. 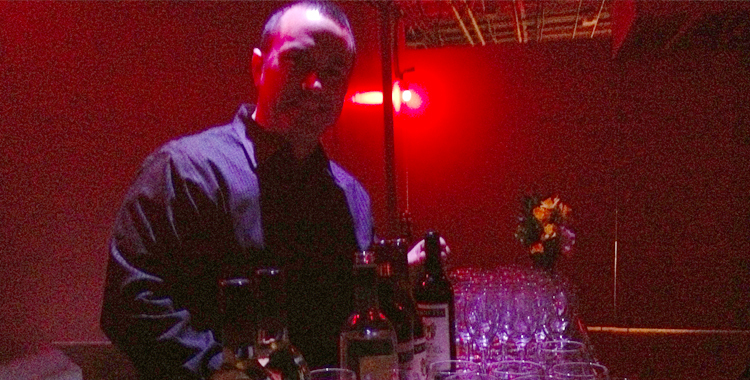 Throughout the night guests could sample wines from Sonoma’s Tornetta Winery. Tornetta is a small batch organic producer (only 150 cases per vintage), located in Glen Ellen. A family-run business, Nick Tornetta informed me that their distribution is limited to on-site winery sales and private clients. Venturing out to the Cajunshire event provided him exposure to some of San Francisco food/bev enthusiasts. The mid-week event was most enjoyable–made all the more fun by our hosts’ enthusiasm. Had the pop-up been on a weekend I’m sure more people would have stayed for dancing. As it was, I hurried home after the dessert flight to adjust my waistband beyond the confines of public decency.